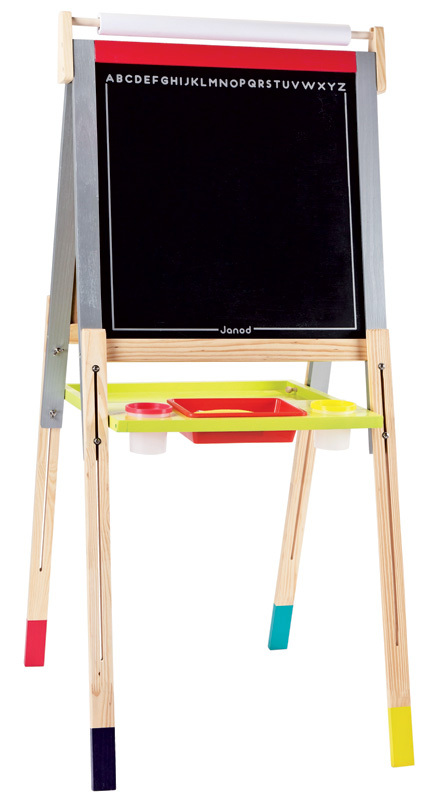 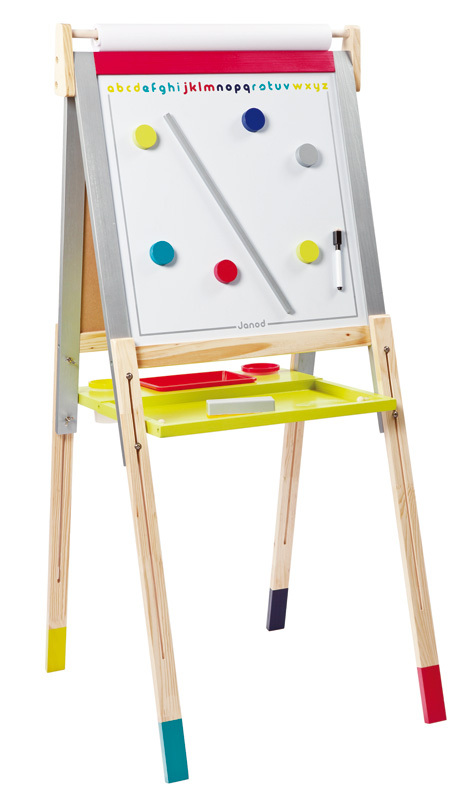 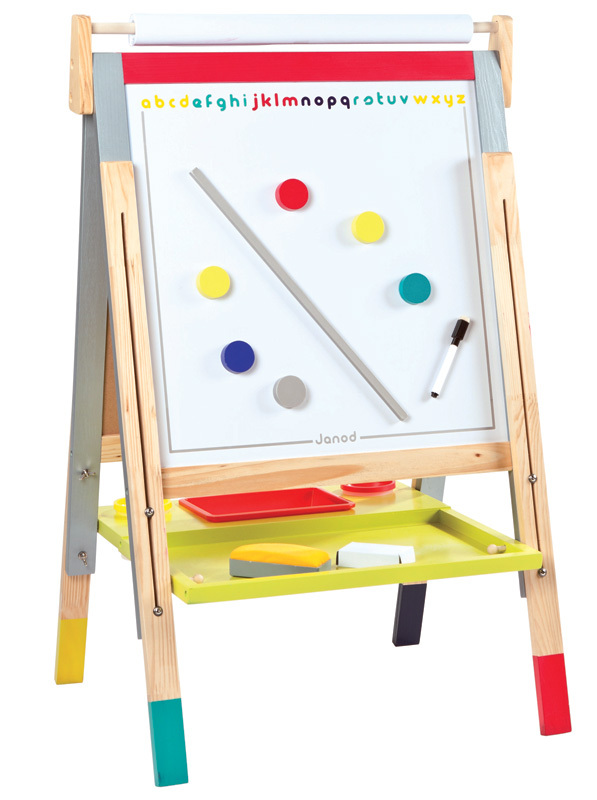 A height adjustable 3 in 1 wooden table, with blackboard one side, white magnetic board on the reverse and a paper roll on top. 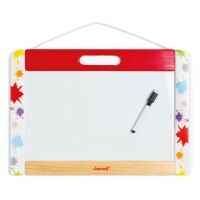 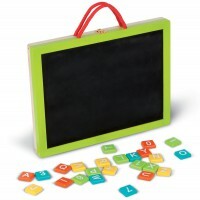 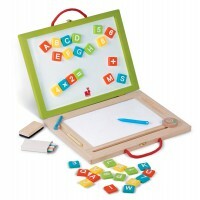 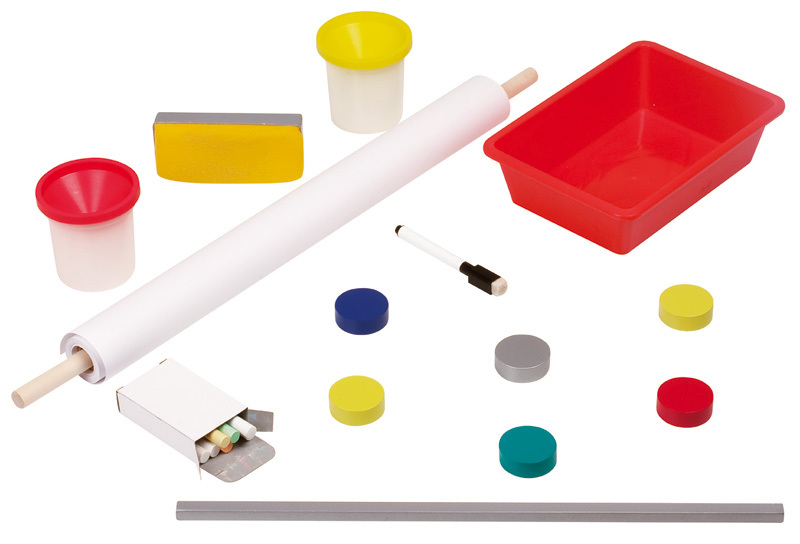 Accessories include a sturdy tray with compartments for the markers, erasers and magnetic shapes. 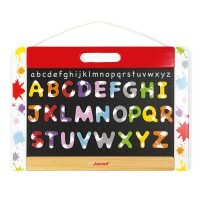 The alphabet is printed on one side in capitals and lower case on the other to promote learning while at play.